GREAT FOOD AND BEER, LIVE PERFORMANCE BY THE LEGENDARY FISHBONE AND MORE! K1 Speed Indoor Kart Racing will be on-site with K1 girls and show kart. They will be passing out discounts, photo op with kart & girls and you can enter to win some great K1 prizes! 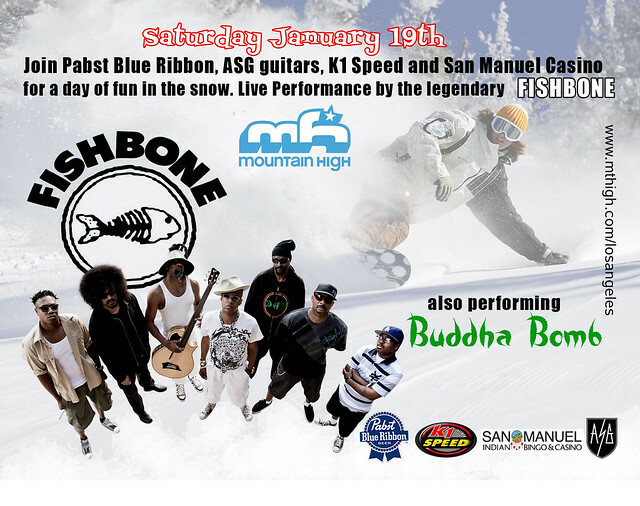 Come rock out to a live performance from FISHBONE!